Wine, music and food will help children whose commercial health insurance doesn’t cover all the costs of the medical treatments, services or equipment. Even though the beneficiary of the third annual Wine Tasting & Silent Auction is the nonprofit UnitedHealthcare Children’s Foundation, attendees for the casual evening, planned for Thursday in Franklin’s Sound Kitchen, don’t have to be affiliated with the health insurance company. Partygoers need only bring their ability to have a good time and a desire to assist kids in need to the event 6:30-9:30 p.m. at 112 Seaboard Lane. “The more awareness we build, the more we drive people to come out and the more kids we can help,” said Greg Reidy, CEO of the mid-South market at UnitedHealthcare. 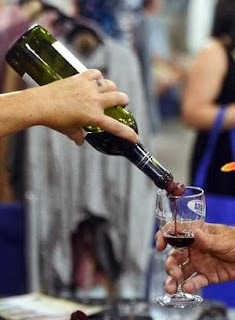 In the past two years, the event was at Arrington Vineyards. This year, ONEHOPE Wine, a wine label produced in partnership with Rob Mondavi Jr. out of Napa, Calif., will be offering the tastings and wine sales. In all, 50 percent of profits from wines sold go the to winemaker’s nonprofit partner. For instance, chardonnay sales benefit the National Breast Cancer Foundation, while sparkling wine supports a childhood hunger charity. The event organizer’s charity of choice, the Children’s Foundation in this case, receives 15 percent of all wine sales. “With Thanksgiving and the holidays coming up, this is a good opportunity to stock up on wines you might want to serve while donating to a good cause at the same time,” said UnitedHealthcare’s Tennessee Foundation Coordinator Betsy Wood. The event also features live music by Karen Staley, food by The Chef & I and a silent auction. A family who benefited from a UnitedHealthcare Children’s Foundation grant also will speak, along with pediatrician Dr. Joel Bradley. Begun in 1999, UnitedHealthcare received the nonprofit through a company acquisition. The Children’s Foundation was expanded to a national program in 2006. The program has provided more than $15 million in medical assistance to about 5,000 children. To apply for help, parents, relatives or guardians of the children should visit www.uhccf.org to fill out and submit the online form. The average grant awarded is up to $3,000, with an annual maximum of $5,000 for an individual child each year. Top conditions covered by grants awarded last year were autism, cerebral palsy, developmental delays, diabetes, hearing loss and speech delays. Top treatments included applied behavioral therapy, durable medical equipment, hearing aids, occupational therapy, physical therapy, speech therapy and surgeries. The child in need must be 16 years old or younger and have commercial insurance, which does not have to be UnitedHealthcare.